The continued association shared by the former members of Henry Cow (and their ceaseless inspiration to work either collectively and individually) remains a gift that keeps on giving. Over the course of a single week in London this month, Henry Cow reeds-and-keyboard player Tim Hodgkinson (arguably the band’s most prolific and rigorously avant-garde member) plays at two shows at the Iklectik Arts Lab, one of which also features his old Cow sparring partner John Greaves as well as two vigorously creative women from the younger generation of the ever-broadening Cow/Faust/Rock In Opposition avant-rock circles. In between, he’s launching a book and delivering a talk on his own concept of musicality, complete with another live musical performance. 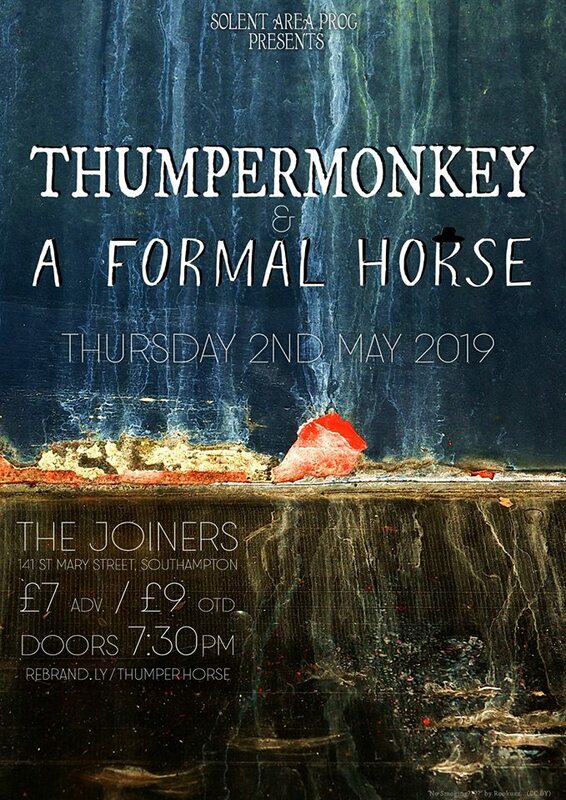 At this evening for Lambeth experimental night The Horse Improv Club, Tim Hodgkinson plays clarinet in spontaneous free-jazz team Zinc Trio, which also features Hannah Marshall on cello and Paul May on drums. Paul is the most recent member of the trio, which previously saw Tim and Hannah working with another drummer – English improv legend Roger Turner. The earlier trio can be seen here, scurrying and forging through a full-torrent 2009 improvisation. Also on the bill are a new and possibly one-off quartet. Brighton duo The Static Memories, made up of Arc/In Sand/Safehouse collective member Gus Garside (double bass player, educator and National Arts Development Manager for Mencap) and Dan Powell (guitar and electronics, also a member of mischievous Brighton performance duo Nil and one of the people behind Brighton’s Spirit of Gravity experimental night) team up with the London duo of Tom White and Rob Lye (who work with electronics and reel-to-reel tape recorder). 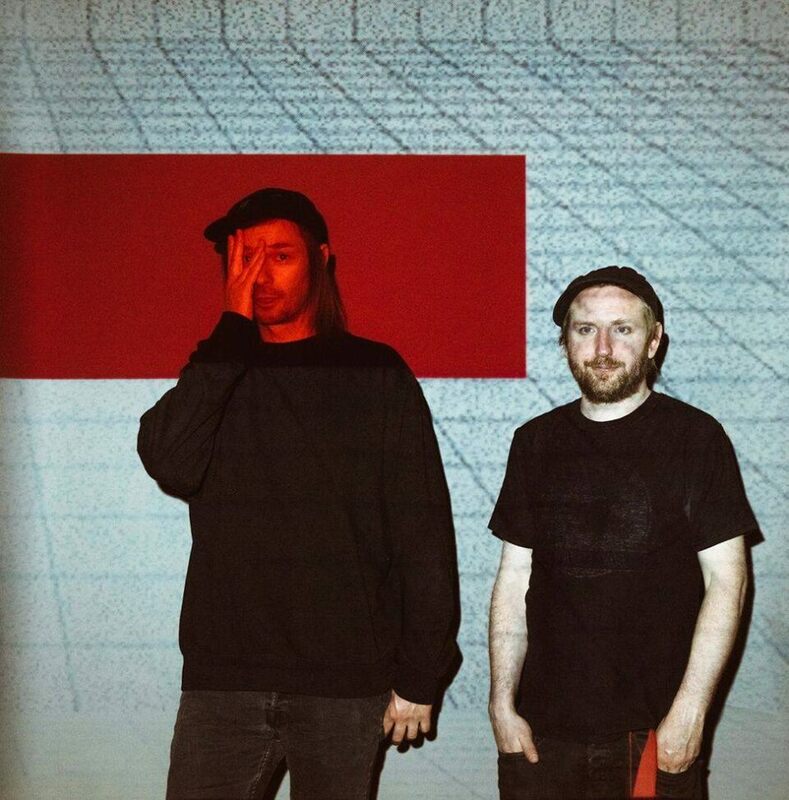 Here’s a Static Memories clip to clue you in, along with a White/Lye one: soundclash them together all on your own. Tim will be expounding on this in a lecture including passing examinations of “three composers who have each claimed to stimulate a new way of listening: Pierre Schaeffer, John Cage, and Helmut Lachenmann.”. 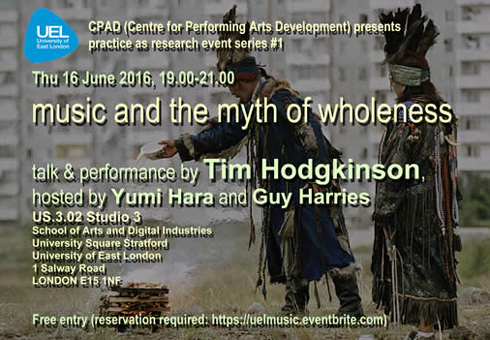 In addition, there’ll be a music performance in which Tim is joined by University of East London lecturers and musicians Yumi Hara (voice, harp and found objects) and Guy Harries (flute and found objects). Both are experienced and diverse musicians – as well as being a perpetually active solo performer and serial collaborator, Yumi is a member of various Henry Cow/Faust related projects (The Artaud Beats, Jump for Joy!, Lindsay Cooper repertoire band Half the Sky), was a former Frank Chickens member, and was the driving force behind London’s ‘Bonobo’s Ark’ events (at which ‘Misfit City’ spent a number of intriguing evenings in the late ’90s); while Guy’s work spans singer-songwriter projects, experimental multimedia musicals and opera, and assorted collectives (Bodylab Arts Foundation, the POW Ensemble, Live Hazard) across multiple genres. Yumi (on voice, harp and piano) and Tim (on bass clarinet and pedal steel guitar) reunite the very next evening for another concert. 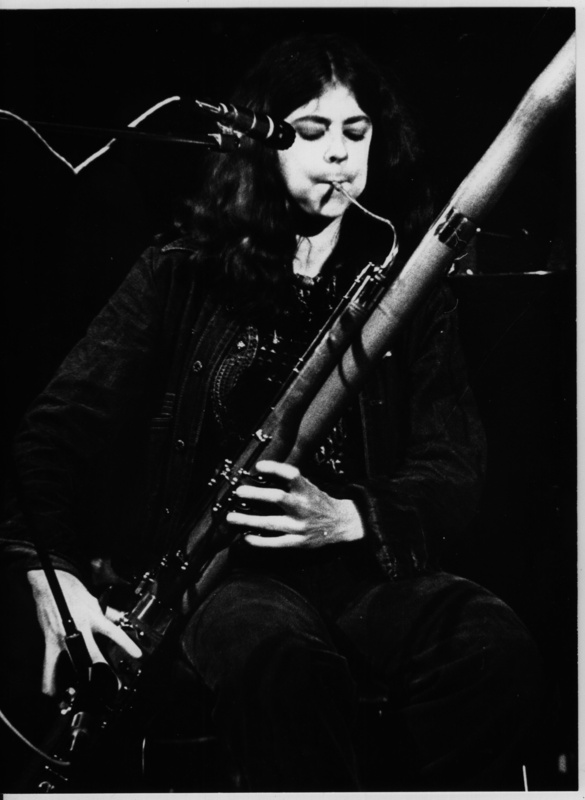 For this one, they’ll be joined on keyboards, electronics and voice by Geraldine Swayne (fine artist, film maker and – as musician – a member of both Faust and …bender) and by Tim’s old Henry Cow sparring partner John Greaves (voice, bass guitar, piano). 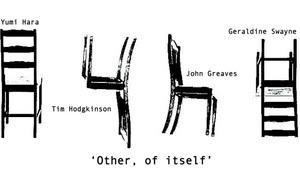 It’s a loosely-structured quartet evening during which the four musician will work in various combinations including a Hodgkinson/Hara duet and a John Greaves solo set on voice and piano (performing selections from his own song repertoire). In addition, Marina Organ (‘Organ‘, ‘The Other Rock Show‘) will be contributing a DJ set.